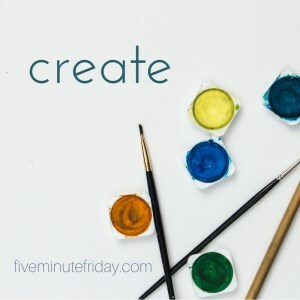 Today’s word prompt is CREATE. God created a future for them. Israel was finally free from slavery and their time in the dessert wasn’t wondering because f God. It was because of them. God was calling them back to Him. After generations of worshiping the false gods of Babylon, new habits needed to be formed. New hearts created. A calling back to the holiness of YHWH. I wonder what made God think they were ready to take on the Promised Land? I’d like to think it was something He saw in them – that their holiness was progressing. That those new habits were solidified. But we know from the rest of scripture that wasn’t the case. But He pushed them onward anyway, and still after all His pursuing, with new rules and regulations given to them, Israel still tried to create their own future. 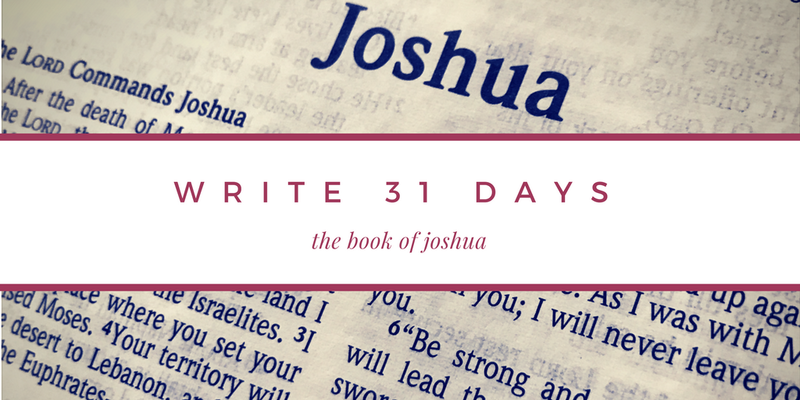 One of the first examples of this in the book of Joshua is in the story of Achan. He wanted the things set aside at God’s order for himself. He was hoping to create a new future for his family, one greater than everyone else’s. This is no unique story, for we see over and over again people creating their own story. Completely forgetting who their Creator was. The nature of creating is that we have control. A potter moves their hands in certain places as the wheel spins to create the right shape. A painter controls their brushes strokes over the canvas to create what is in their minds. A writer types and types, deleting at will in order to communicate the desire message. We all would rather have control that be spinning out of control. Not long ago, my entire felt like I was simply in the eye of the tornado, and while everything spun around me all I could do was react instead of act. These seasons of life are awful for us. But they really don’t have to be. Because God is the Creator of all things, and He is the one in control of all the spinning. I’d forgotten that as I continued to picture myself in the eye of the tornado, helpless and fearful. My desire was the create my own path and I failed to trust in the One who has a path laid out for me. Creating and trusting truly go hand in hand in the life of the believer, because creating within the will of God is best for us. Our Creator is wise and powerful and merciful and just. Why wouldn’t we want to be under His will?